Butwal (Nepali: बुटवल) is a Sub-metropolitan and the Eilat area of a rapidly growing urban agglomeration in Nepal. It lies in Western Development Region, Lumbini Zone in Rupandehi District and is the administrative headquarter for Lumbini Zone. It is situated at the bank of Tilottama River Tinau River, 265 km west of Kathmandu, 161 km south of Pokhara, 147 km east of Ghorahi, Dang and 22 km north of Siddharthanagar Bhairawaha, at the northern edge of the Terai plain below the Siwalik Hills. Its name, Butwal is derived from Batauli Bazaar, the town's oldest area which is located on the west side of Tinau river. Geographically, Butwal is the intersection of Nepal's two different National Highways, Mahendra Highway and Siddhartha Highway. It connects western Nepal with capital Kathmandu through highway and air links (via airport at Siddharthanagar). It is one of the fastest-growing cities in Nepal for education, infrastructure, highway, marketing, health and safety, communication, trade and banking sectors. It has highway connections to the Indian border at Sunauli and to the hilly towns in Tansen and Pokhara valley, and has held the title of being "The Best City in Nepal" four times in a row. A few metres before the Butwal gate (the gate from which Butwal City commences), The Industrial Area accompanying 'Charange', a residential area. The following areas commence as the entry on Butwal Gate reading "Welcome to Butwal" Banner. Amar path - usually known as a shopping line for clothing, food, furnishings, etc. 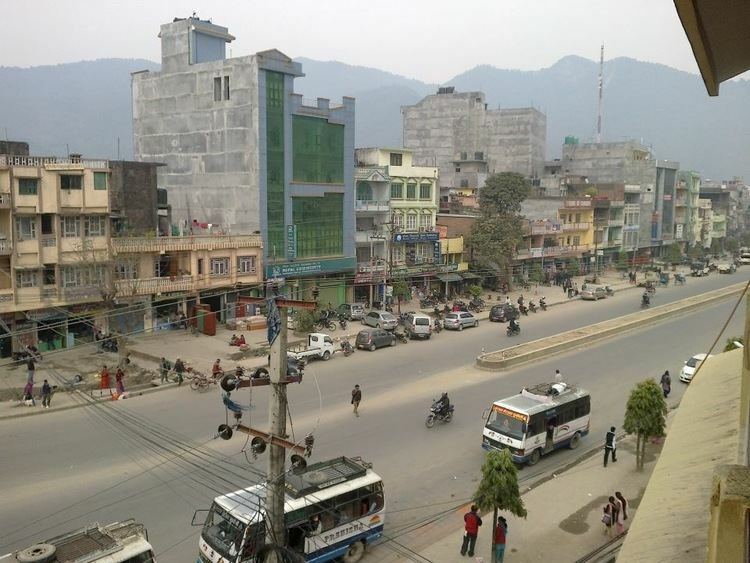 Kalikanagar - Chief residential area of Butwal. Devinagar - Residential area accompanying an ANFA Football ground. Butwal was officially declared a sub-metropolitan city on 2 December 2014 by combining two neighbouring VDCs Motipur and Semlar. Fossils of ancient hominoids Ramapithecus were found near the Tinau (Tilottama) River as early as 1932, including a 10.1-million-year-old tooth. The area was a loose settlement famous as a trading post between the hill districts of Lumbini zone and the Indian plains. Thus, historically Butwal connected Nepali people with their Indian neighbors. 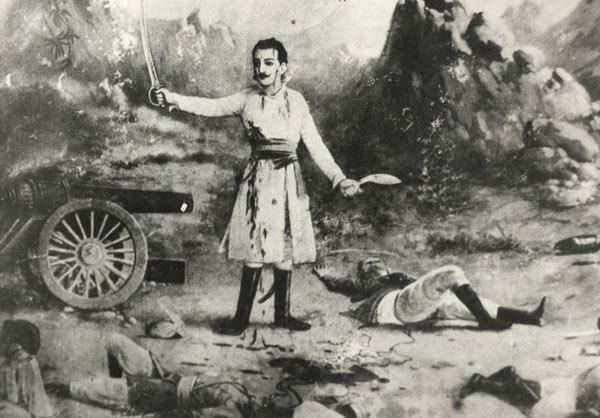 As the British East India Company annexed Awadh from its hereditary rulers while the Shah Dynasty attempted to annex the Terai, Butwal became one of bones of contention leading to the Gurkha War 1814-16. When King Tribhuvan fled to India in 1950 during the revolt against the Rana dynasty he travelled through Butwal. Then it was little more than a village on the western bank of Tilottama River (also known as Tinau). The population of Butwal is 118,462 (census 2011), according to present stage the population is highly increasing with around 150,000 above and consists of people of mixed groups and castes; these includes Pahari immigrants from nearby hill districts especially Palpa, Arghakhanchi, Parbat, Gulmi, Syangja and recently more from kathmandu at present, also others people from Terai origin. The majority of the population is Hindu. They celebrate Holi, Teej, Maha Shivratri, Dashain, Tihar and Bhai Tika.There are also Buddhist and Muslims. There is a very good and harmonious relationship among different religious and ethnic communities. Nepali and English are the common languages spoken in Butwal. Gurung, Magar and Tharu people speak native language in their community. Most of the young generations and mid aged population can communicate well in English. Butwal is mostly a commercial and trading city, and an upcoming link city for the nearby tourist spots. The economy of Butwal centers around trade, services and industries. 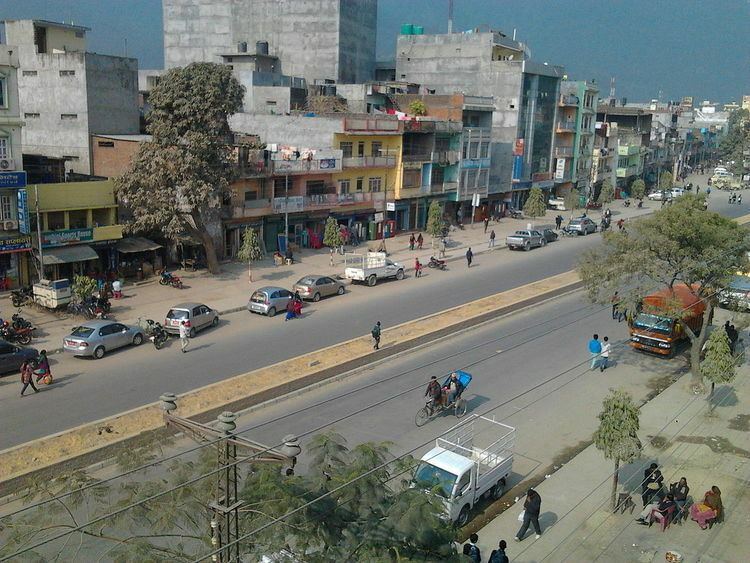 The old trading districts are Traffic Chowk, B P Chowk, Amarpath and Nepalgunj Road. and . Besides modern shopping, a traditional form of market called Haat Bazar runs twice a week on Wednesdays and Saturdays. Butwal is regarded as an important city for trade and marketing and has the second largest vegetable market Butwal Sabji Mandi . Usually, farmers sell directly to the retail customers in this market in a dusty and busy market setup. Service aspects of the economy are centered on banking, education and health. An increasing number of people is involved in jobs in these sectors. Butwal is also a connecting city between nearby tourist towns of Tansen, Kapilvastu and Lumbini. It is the gateway to nearby cities of Sunwal, Pokhara and Bharatpur. It is also a busy land-route to enter Nepal from India for tourists and others. Thus, Butwal is witnessing huge investments in the hospitality sector as well. To boost up tourism and MICE opportunities, the government plans to set up an international conference centre at Ramnagar in Butwal. All these developments hint towards a large economic potential for development of the region. The private commerce and trade in Butwal is united under the umbrella of Butwal Chamber of Commerce & Industry (BuCCI). Audhyogig Byapar Mela-Butwal is a commercial festival held in Butwal . This festival is organized annually in the month of Poush (generally December–January), and is one of the largest of its kind in Nepal. Buses are the dominant form of transportation. Until 2003 most of the fleet was older large buses; since then operators have added newer minibuses popularly called micro. Older jeeps are used to take people to nearby hilly regions. Rickshaws are used for short-distance urban transport. Motorcycles are a common means of personal transportation around town. The number registered has increased from 1,200 in 1999 to 80,000 in 2008. 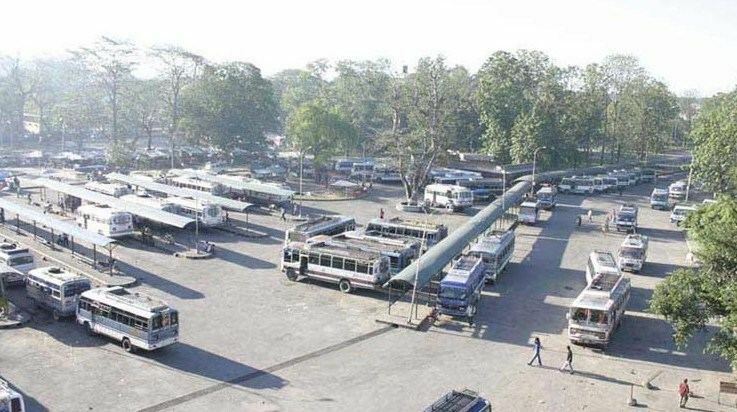 Nearly 100 buses depart to Kathmandu from Butwal bus station. Long-distance buses are also available to other major cities like pokhara,dang and many more . Butwal is set to be an educational hub in Rupandehi district.Literacy rate in the city is considered to be high.It has held the record for Nepal Top students in SLC as well as HSEB examination numerous times. Devdaha - The most historical religious site of Nepal is situated 13 km east of Butwal and is known as the maternal home of lord Gautam Buddha. Shitalnagar Kheirani, Bhawanipur, Bairimai, Kan yamai, Khayardanda etc. are the places of interest. Gajedi Taal - This lake is located just around 21 kilometers west of Butwal city (Lausha village of Gajedi VDC to be exact). It is one of the popular lakes and a picnic spot. Aap Khola (mango river) where people go for swimming and to obtain water during droughts. The Manakamana Temple is nearby. Butwal Hill Park (Deepnagar) - A place for the Gurung community. This hill used to be called Gurung Dada because Gurungs were buried here. It separates the city into 2 parts and gives views of both sides. Jitgadhi A fortress during Angol Nepal war, Narayan temple built by (1864 B.S.) Hanuman temple and Shivalaya of Hanumagngadhi, Jalabinayak Mehadev temple, Siddababa temple, Nuwakot etc. are centres of attraction in Butwal. Murgiya Jharbaira (Bolbom Dham) - About 13 km west from Butwal city. This place is known for secondary schools, rice and oil mills, temples and its natural environment. Temple of Lord Shiva (Parroha Parmeshower Bolbam Dham) is situated near by here and known for receiving blessings from Lord of the Lord Shiva Shankar and temple of Goddess Durga at the center of town. Manimukunda Sen Park (Phulbari) - The winter palace of Palpali Sen clan. There are ruins and antiquities of the palace of Manimukunda Sen an ancient Palpali king containing 6 large rooms as well as royal residence, administrative and grandeur of Butwal, Siddharthanagar and other neighbouring villages of Rupandehi district can be seen from here at night also. His Majesty's Government, archaeological department has attempted to maintain it in 1991. Now Butwal municipality has formed council for the conservation of Manimukunda Sen Park to conduct Phulbari Development Programme and attempted to make it a tourist resort. Sainamaina - Located about 12 km. west from Butwal and to North from Banakatti, Sainamaina is as an open museum. Among the different Gramas villages of Shakya King, it was in the samgrama site. An Indian queen (Begum Hazrat Mahal of Awadh) because of the British disturbance in her kingdom came to this area with her soldiers and porters (‘Sena’ and Mena’) and finally this area came to be known as Saina Maina. It is a treasure trove of ancient ruins and antiquities: statues of dancing saints, ruins of palace, well etc. Siddha Baba Temple - It is located on hills at the border of Butwal Municipality. Devotees believe that Siddha Baba will grant their wishes and offer pigeons at the temple. On Saturdays, the weekly holiday in Nepal, large numbers of devotees visit this temple and special Microbus services are offered. The Statue of Buddha (Jogidanda) - It was very significant ruins of having the values of classical art are scattered here and there. This archaeological site is occupied by homeless and landless people. Some of the antiquities of this site are seen thrown around the Lumbini museum. Nilkanth varni (Swaminarayan) - stayed for two months in king's palace (now at manimukund garden, an old wall remains) during his "Vanvicharan". Muktidham, Nayagoan - The newly established religious placed constructed on the outskirt of city at Nayagoan, gives a feeling of the Vintage Temple of Muktinath at Mustang. Global Peace Park - This is a newly built place in Butwal, and can be also called as symbol of peace. Many international celebrities, tourists and models have visited here. Banbatika Forest Resort - It's mostly known for its decorating places and animals. This is a place to have a picnic moment and many occasions to celebrate. Banbatika has animals such as anaconda (अजिङ्गर), white mouses, ostrich, deer, leopards, rabbits and many more.